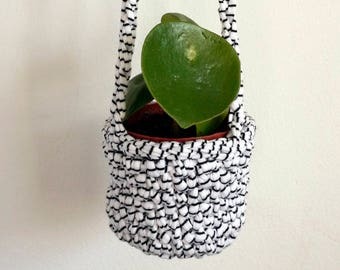 Eco modern textile homewares and accessories. 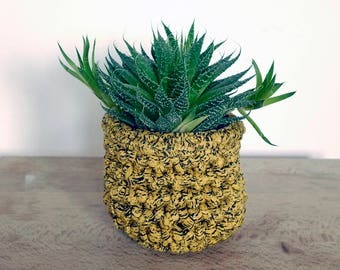 Announcement Rachel Rogers handcrafts eco homewares and accessories using crochet and knotting techniques. 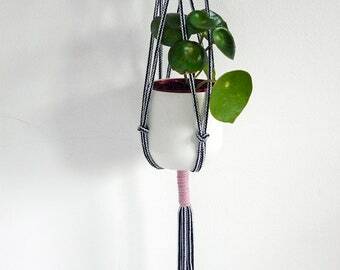 Rachel works with upcycled cotton t-shirt yarns and recycled 100% cotton ropes in a bid to support the sustainability of our future. 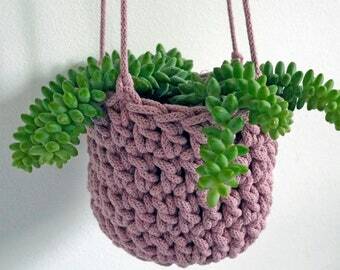 Making storage baskets, hanging planters and bags Rachel makes many custom orders to suit any colour palette, please get in touch to find out more. 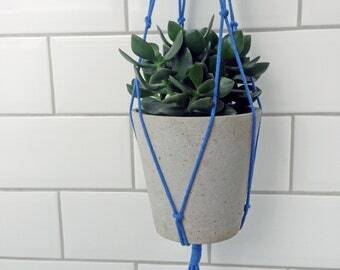 They make beautiful gifts for yourself and your eco conscious friends. 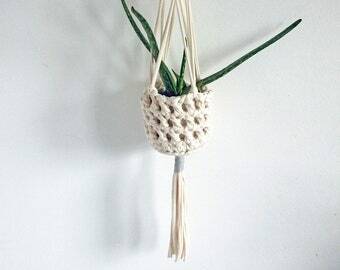 Rachel Rogers handcrafts eco homewares and accessories using crochet and knotting techniques. 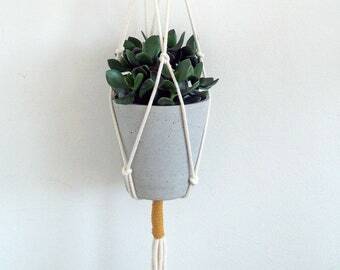 Rachel works with upcycled cotton t-shirt yarns and recycled 100% cotton ropes in a bid to support the sustainability of our future. 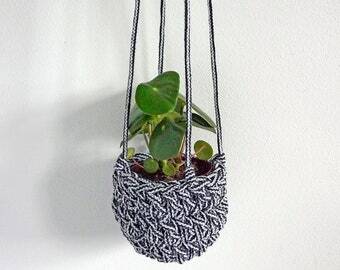 Making storage baskets, hanging planters and bags Rachel makes many custom orders to suit any colour palette, please get in touch to find out more. 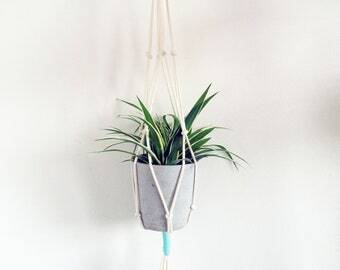 They make beautiful gifts for yourself and your eco conscious friends. Beautiful item! This is my second order. The 2 baskets we ordered for our daughters bedroom are perfect! Well made and Rachel was very accommodating with our custom order. Thank you!! 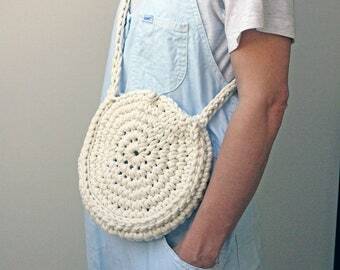 NEW LISTING - Summer rope handbag - accessorise your summer wardrobe with the gorgeous crocheted bag - handmade using 100% recycled cotton rope. Please check the new colour chart attached to this listing to create a custom order! 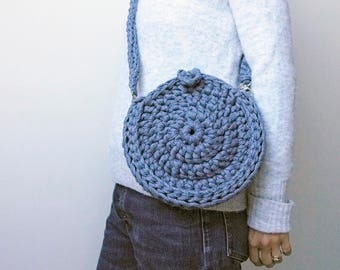 Gorgeous bright and unique chunky crocheted bag. 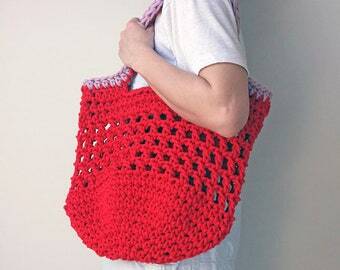 Lovely for the warmer months, especially on the beach or heading out to the park. 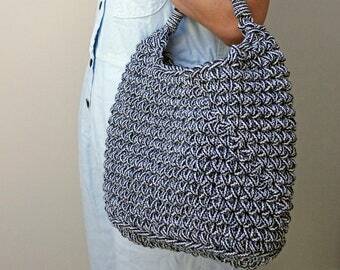 Made from recycled t shirt yarn it's kind on the environment as well as being super stylish! There is only ONE available. 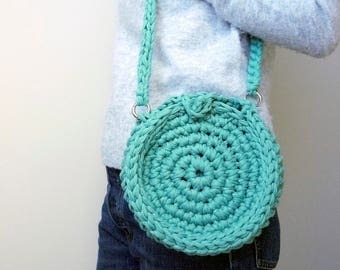 New colourway crochet circle bag in this gorgeous minty green listed in my shop now. There is only one of these available. Teaching a beginners crochet workshop. Everyone went away with their own handmade mini basket and a new skill! 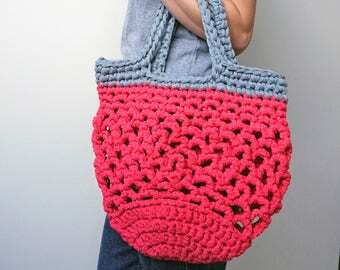 Crochet shopper bags on display in Hexagone - a lifestyle store in London. Our display at Craft Central, for Made in Clerkenwell 2017. 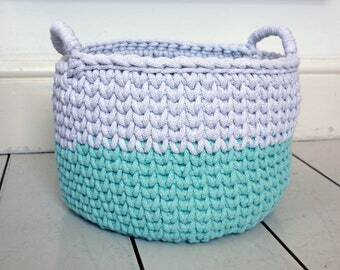 A crochet storage basket in the making. All my products are handmade and designed by myself. 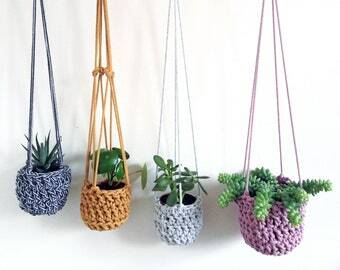 Designer maker Rachel Rogers creates unique crochet homewares and accessories, but not as traditionally as you might expect. 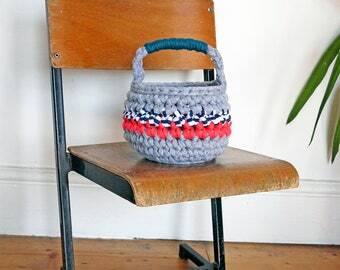 Made by hand in Hackney, Rachel uses chunky recycled cotton yarn in an array of vibrant colours to add a modern aesthetic to her products, and each of her pieces is made unique as a result of the processes used to create them. 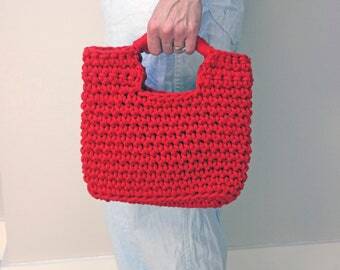 Born out of a desire to keep her kids toys in check (along with her ever-growing yarn collection) Rachel began by making crochet storage baskets for her and her family, but this quickly turned into her making custom orders for her fellow mama friends. Her beautiful baskets, which come in varying sizes, offer practical and stylish storage solutions that are perfect for the modern home. Since she began making Rachel’s collection has grown and evolved and now includes comfortable and colourful shopper style bags designed to fit in anything from shopping to all the necessary parental things we mums cart around, to plant hangers and plant pot covers that make wonderful gifts as statement pieces for the modern home. After years of juggling work in the photographic industry and caring for my two children the decision was made to turn my creations into a business. This was hugely influenced by the imbalance of income verses high nursery fees! 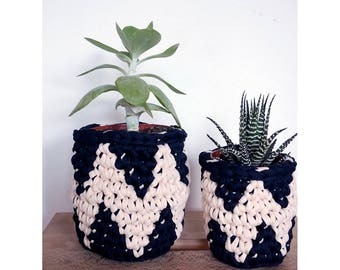 Now I work from 'Crochet Corner' in our family home in Hackney, East London.